Ever been to the Burning Man Festival and checked out the art cars? 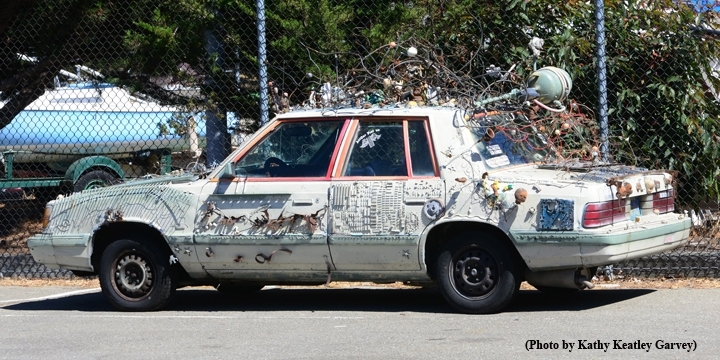 But last Sunday at the Berkeley Marina, we saw an art car that looked as if it could have been at the Burning Man. It was the wheel deal. 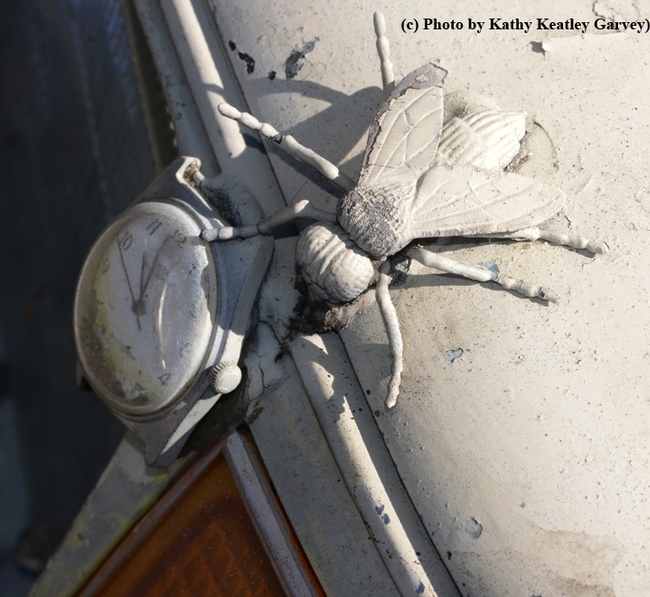 And a car that an entomologist could love. Assorted insects, including a stylistic blue ant, decorated the car. Excitedly different. Curiously surreal. Marvelously eccentric. Wikipedia defines an art car as "a vehicle that has its appearance modified as an art of personal artistic expression." The owners are sometimes called "Cartists." 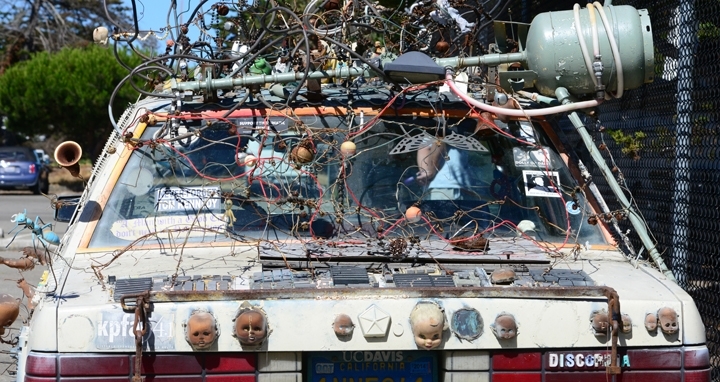 The art car parked at the Berkeley marina, however, looked like a buffet of art, someone's leftovers turned into a heaping plate of static and dynamic creativity that begged attention. Put a fork in it and it's done. We don't know where it had been or where it was going. Or, maybe it wasn't going anywhere any time soon. 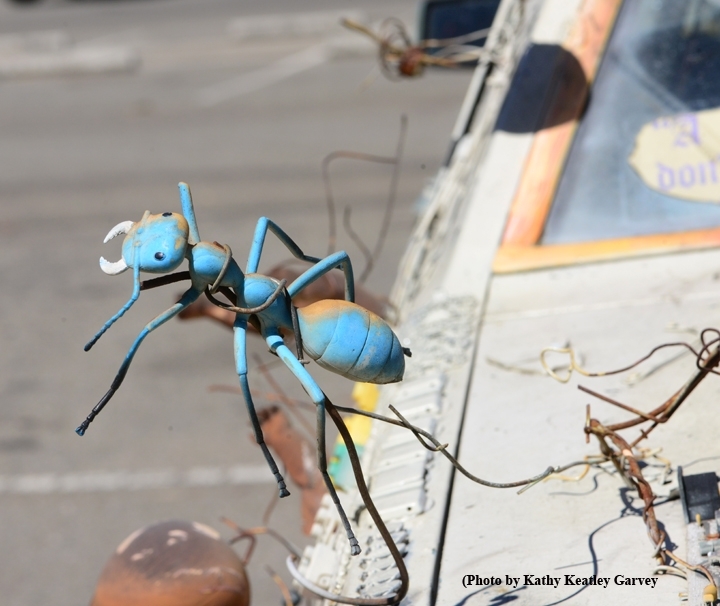 That blue ant, though, made us think the cartist is an entomologist. Specifically, a mymecologist.